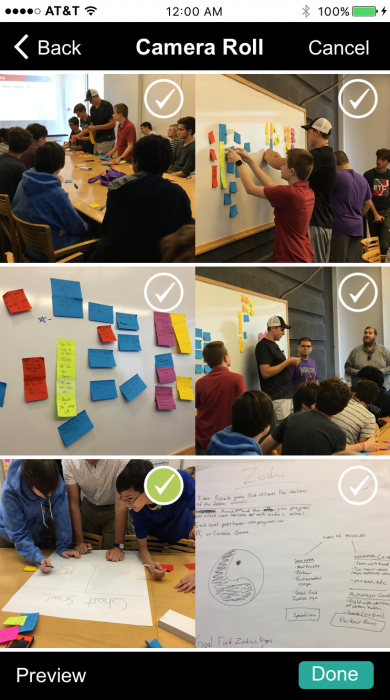 This goal of this project was to design a prototype of a portfolio platform for our client, Quaker Valley High School’s internship collaboration with Carnegie Mellon’s Entertainment Technology Center (ETC), using Maker Ed’s work on open portfolios. 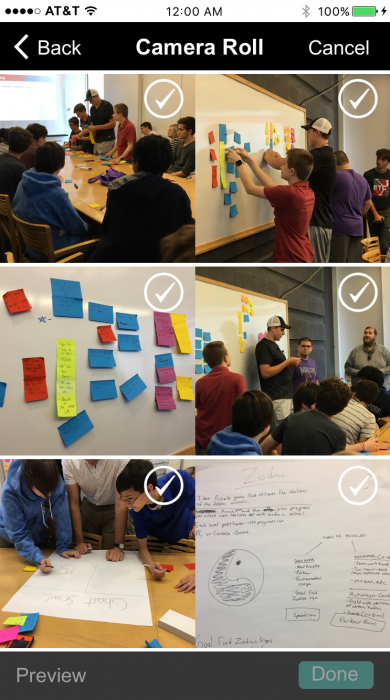 In this internship, high school students work in teams to create a game, app, or video over the course of a school year. At the start of the project, the internship had no established documentation practices. Quaker Valley hoped we could design a portfolio platform that would help make visible all the learning students do in this unique experience. Our solution was Project Sync. 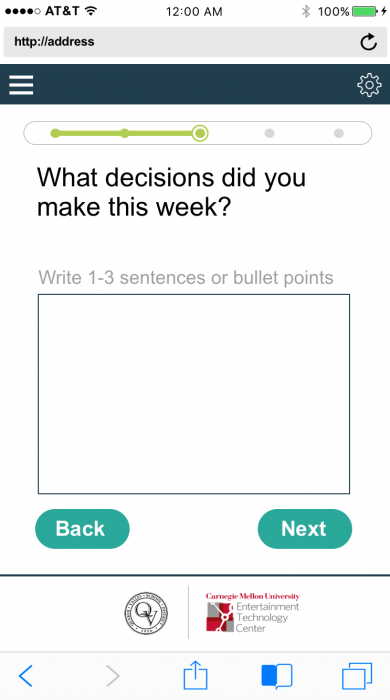 Project Sync has two parts: reflective prompts sent to a student’s phone, and a web platform where the student can write blog posts from templates that autofill with their answers to the phone prompt. 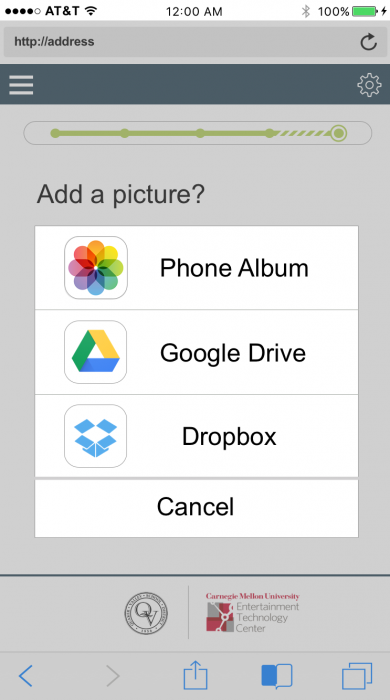 This makes documentation simple and efficient. Through our literature review and contextual inquiry of expert portfolio-makers, we developed an understanding of the portfolio making process and key challenges. We then moved to understanding our stakeholders and users. 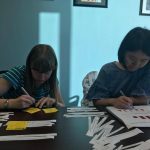 We observed two workshops by the ETC educational coordinator for Quaker Valley students, and interviewed the Quaker Valley career coordinator and ETC educational coordinator, who jointly facilitate the internship to learn more about the nature of the collaboration and their goals for students. 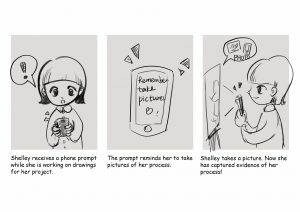 We surveyed students participating in the internship, and interviewed seven students for a deeper look at their goals for the internship and their views on documenting projects. 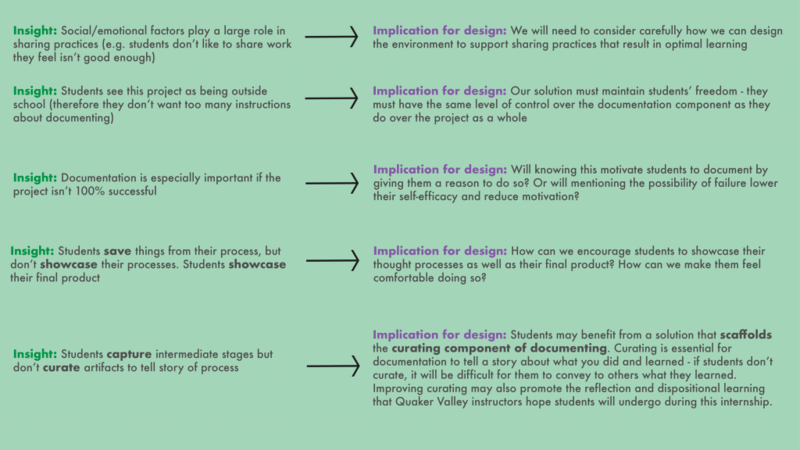 From our research, we anticipated creating some kind of scaffold to students to help with the process of curating their reflections and saved artifacts from the design process. Using scenarios and storyboards, we brainstormed possible solutions. 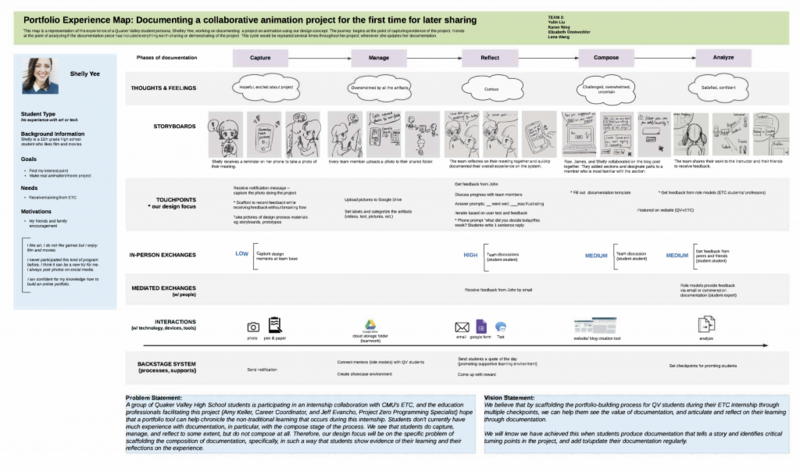 We created a portfolio experience map to examine the different possible touchpoints in the portfolio-making process. We also considered the outcomes we hoped our future solution would create, how we would know those outcomes had been reached, and our research insights about the importance of student motivation. 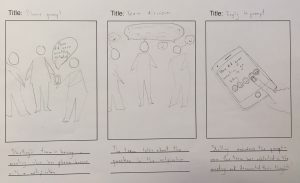 Through this process, we realized that it made sense to focus on the reflection and composition stages, which led us to our final idea of combining phone prompts (to scaffold reflection) and a blog platform that used templates (to scaffold composition). We did two rounds of prototyping and testing with students. 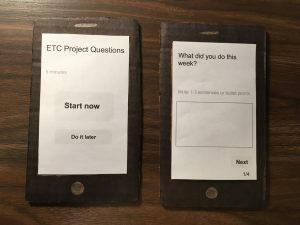 For our first prototype, we opted for a paper prototype to explore the role the design would play in students’ internship experience, and encourage students to share their reactions honestly. 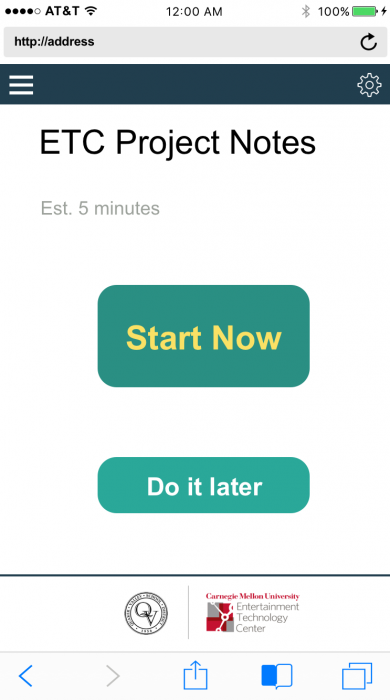 Customize phone prompt frequency. 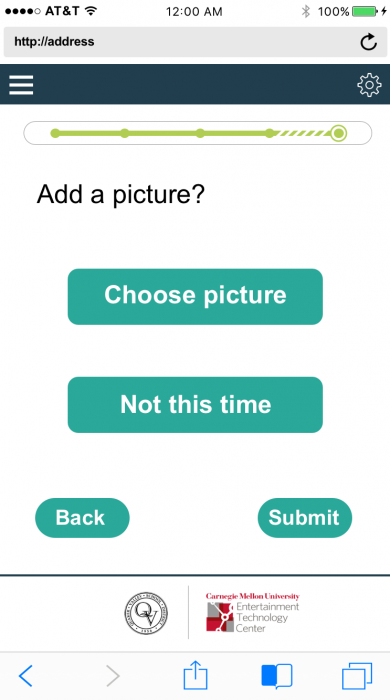 We hoped that by making it possible for students to choose how often they receive the phone prompts, they could choose timing that made it more likely they would continue to use the platform. 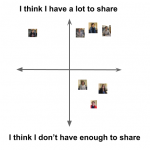 Sharing feature. 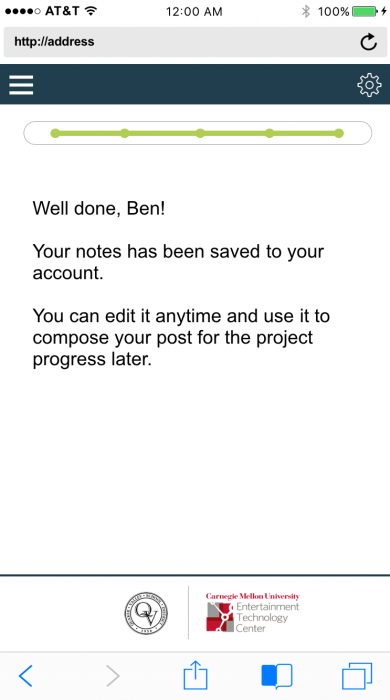 We hoped that being able to share their blog posts and get feedback on their projects might help show students the value of documenting, and increase their motivation to do so. 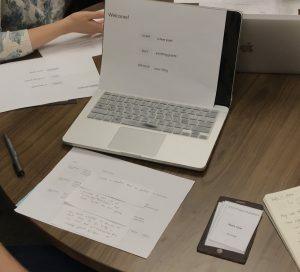 For our second round of prototyping and user testing, we made a high fidelity digital prototype using Sketch and InVision to get a better idea of how students would interact with our platform. 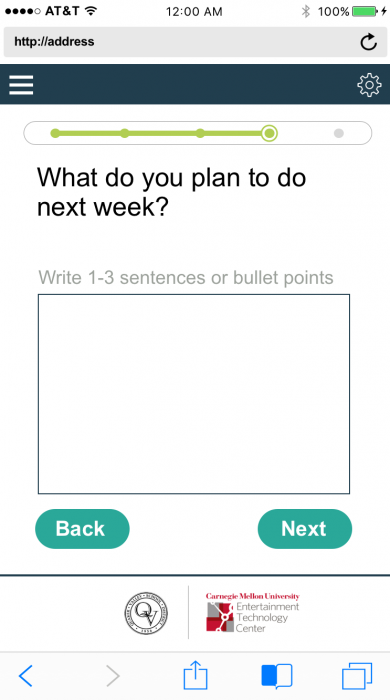 Students were asked to work through a series of prompts on a phone, and create a blog post using the prototype on a laptop. 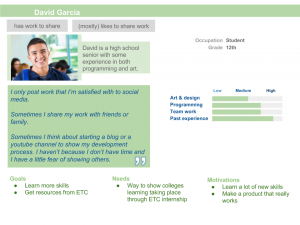 Having discussed our concern that students may stop using the platform after a few weeks with the Quaker Valley career coordinator, we found that she envisioned our platform fitting around the built-in checkpoints of the ETC instructor’s visits every two weeks. In particular, she shared with us her hope that if completing the blog posts was a required part of the internship, over time students would find it helped their progress in the internship and start to see the value in documenting. 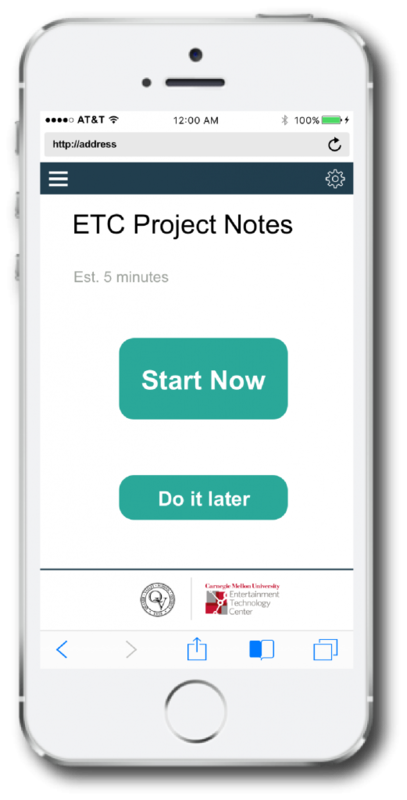 Thinking further about students seeing the value of documentation, we thought it could also be motivating to students to strengthen the connection to the ETC and include a feature to share with an ETC student. Receiving feedback from ETC students who are semi-experts could be useful and encouraging to students. Our final product was a high fidelity interactive prototype for phone and laptop. Below you can see a user flow of completing a reflective phone prompt. 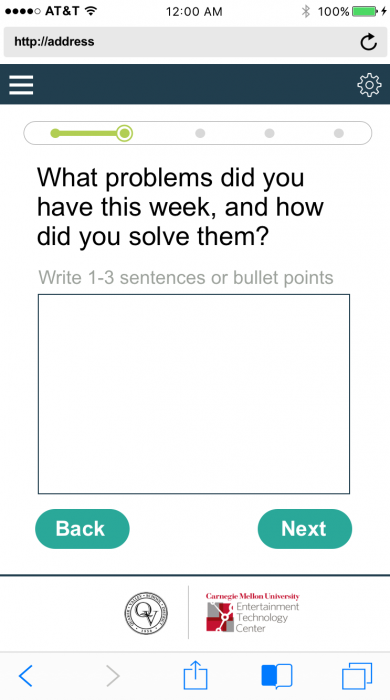 A challenge that remains with this project is whether students would really use our platform throughout their whole project. 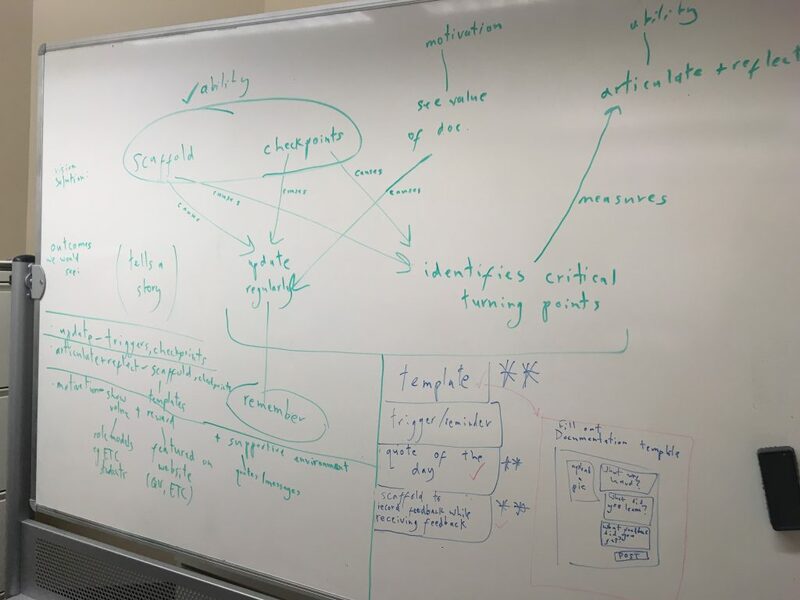 Therefore, if we were to continue with this project, the ideal next step would be to ask Quaker Valley to test a working prototype in the ETC internship over several weeks. 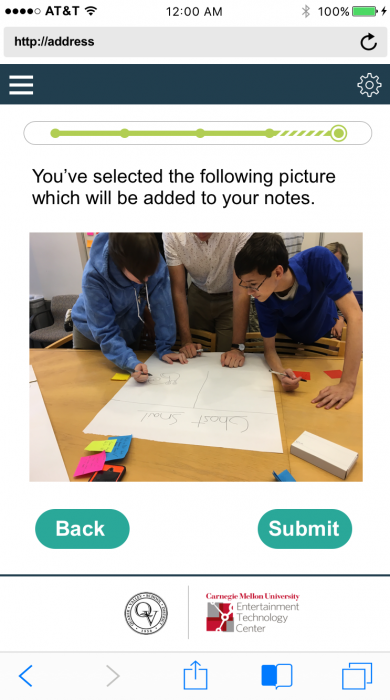 This would let us see how students respond to using our platform in context over time, and whether there are further adjustments that we could make to better meet Quaker Valley’s needs. In addition, the visual design could be polished to look a little cleaner.